Your drains are one of the most important components in your plumbing system. A drain is the literal lifeline for any washer machine, sink, shower, or bath in your home. Every day use leads to buildup within the draining system. Fortunately, there are tell tale warning signs that will alert any homeowner as to when their drain requires maintenance. Specifically, there are five top warning signs that you need to immediately clean your drain. Have you ever smelled a certain odor that you cannot seem to identify, or locate the source of? It just might be your drain. Due to continual use, drains often compile grime and build up you thought may have been washed down the pipe. In reality these items may be stuck within the drain components. If the smell is like the odor of methane, then it is a sign that your drains may not be receiving enough air pressure around the vent areas. A wise man once said that patience is a virtue, but no one should have to wait for their water to drain. If your water is taking longer than normal to drain, or you are standing in a puddle during a shower, you most likely need to have your drainage pipes cleaned. If this is not resolved, slow draining can eventually transform into outright clogs. Are the drains in your home bubbling and gurgling? Similar with constricted draining, constricted flow is another sign that your pipes are in need of cleaning. If you see these signs, it could mean that you drainage system is starting to create a substantial blockage. If you have little to no water in places such as the toilet, that could be a sign that there is a blockage build up within your drainage pipes. If there is a build up or clog, the right amount of pressure and/or water is not getting to where it should be. This causes little to no sitting water in the bowl of your toilet. The final and most obvious sign of drainage issues is frequent clogging. It may be the most obvious issue, but it is also the most serious. You can only use the plunger so many times before the blockage becomes too great to push through. Professional help should be acquired if your plumbing system has frequent clogs. Often times a company might have to examine your entire plumbing system just to fix one issue. Read about other “Common Causes of Clogged Drains in Your Home” here. If you have experienced any of the symptoms or signs above, then professional help should be sought after. Many drains may get clogged over time and turn into costly plumbing nightmares. Regular cleaning of your drains is recommended to ensure maximum efficiency and longer pipe health life. 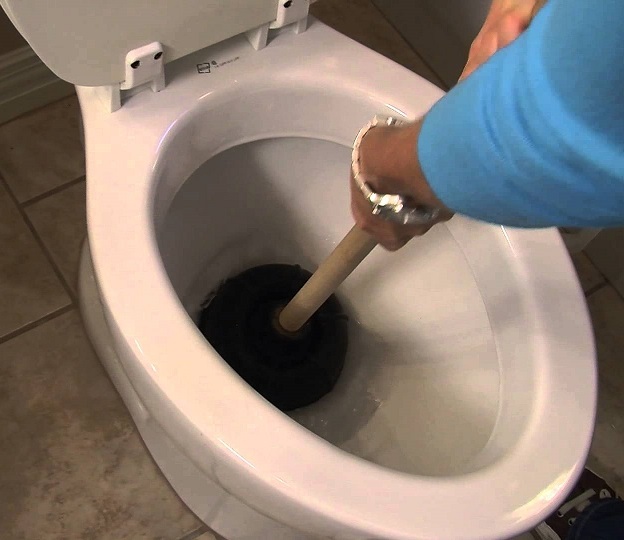 If you are experiencing a clogged drain, sink, or toilet in Mount Dora Florida, Lake County, or the surrounding area, don’t hesitate to call Blue Sky Plumbing where there are NO EXCUSES only solutions!